Medium format negative by Dorothea Lange for the Resettlement Administration. October 1939. 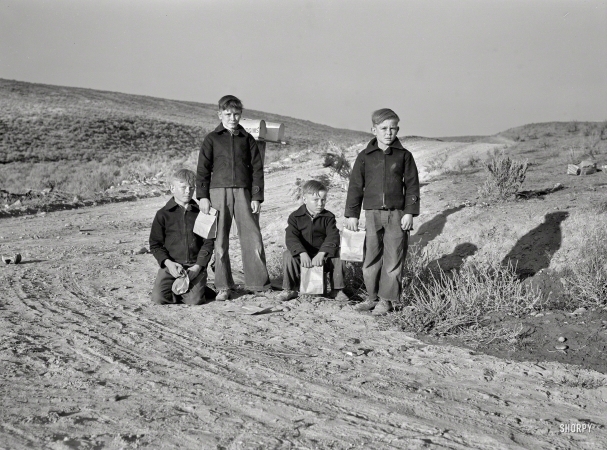 "Boys from Dead Ox Flat waiting for the school bus in the morning. Malheur County, Oregon."